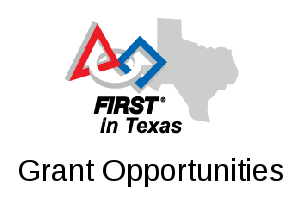 This is a North Texas FTC Qualifying Tournament scheduled for Ferris, Texas on January 26, 2019. To volunteer at this event, see https://my.firstinspires.org/Volunteers/Wizard/Search/2?EventId=40476 . This is a North Texas FTC Qualifying Tournament scheduled for Wylie East High School in Wylie, Texas. To volunteer at this event, see https://my.firstinspires.org/Volunteers/Wizard/Search/2?EventId=39818 . This is a North Texas FTC Qualifying Tournament scheduled for the Tarrant County College Trinity River Campus in Fort Worth, Texas. To volunteer at this event, see https://my.firstinspires.org/Volunteers/Wizard/Search/2?EventId=39814 . This is a North Texas FTC Qualifying Tournament scheduled for Townview Magnet Center in Dallas, Texas. To volunteer at this event, see https://my.firstinspires.org/Volunteers/Wizard/Search/2?EventId=39812 . To volunteer at this event, see https://my.firstinspires.org/Volunteers/Wizard/Search/2?EventId=39808 . Come join us and spend a day learning from each other and getting to know one another better! Our goal is to help North Texas FRC teams grow. The structure of the day is that each veteran team who registers presents 45 minutes on a topic. Your team members could come share something they do really well, or you could lead a round table about a topic so that we can all share and learn together. We hope to cover a wide range of topics such as mechanical, electrical, programming, marketing, branding, team structure and organization, but the agenda is really up to you! Rookie teams welcome! Feel free to bring up to five student leaders with you. The event is free; lunch is $10. More information is available from https://www.ntxrobotics.com/2018-ntx-coach-and-mentor-workshop . Register for this event at https://goo.gl/forms/frQFgsbGOD090OzR2 . FTC teams 11563 “Hedrick Garage” and 7172 “Technical Difficulties” are pleased to announce a robot workshop and scrimmage for Saturday, October 27, at Hedrick Middle School in Lewisville. The purpose of the workshop/scrimmage is to allow teams to share ideas and prepare for competitions. We will also be using this event as an opportunity to train event volunteers and officials (referees, judges, scorekeepers, inspectors) for the upcoming season. For more information, contact Patrick Michaud (pmichaud@pobox.com). We hope to see you on October 27!